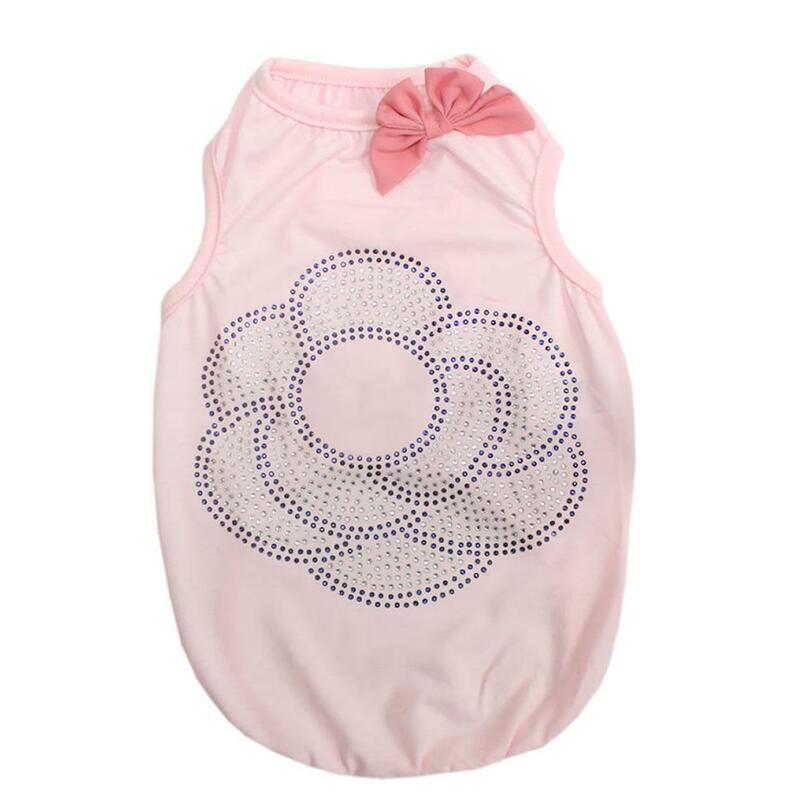 Let your princess pup shine in the Bling Flower Dog Tank by Parisian Pet in Pink. 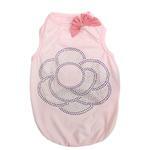 Comfort and fashion combine in this feminine dog tank by Parisian Pet. This light and airy soft knit features a cute bow at the neckline and a rhinestone heat transfer of a geometric flower to make sure your pup leaves a little sparkle wherever she goes. The sleeveless style and high-cut tummy will keep your princess feeling fresh, fun, and fancy-free.